Uno Sporting 2012 convertido para o Rfactor, com físicas, câmeras e sons devidamente editadas, motor 1.4 como o real. It's a Brazillian Car called Uno Sporting from Fiat, with 1.4 engine converted to Rfactor, with all the physics, cameras and sounds fully edited by me. There are currently no setups for Fiat Uno Sporting 2012. Add a Setup. 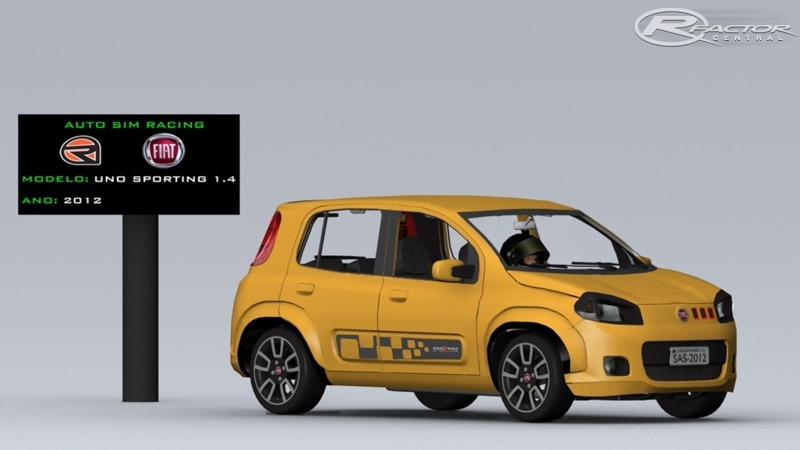 There are currently no car skins available for Fiat Uno Sporting 2012. If you are a painter you can share skins for this mod via the Car Skins area. Visit the Spray Booth for painting tips & tricks. Pista rápida e curta, pode ser usad também para categoria truck. Assim como Cascavel mais uma opção para que quer uma pista de tamanho menor para seus mod.